Today, she runs a highly successful cooking school in Certaldo just southeast of Florence and offers cooking lessons for groups large and small. She cooked for the UK band “The Stereophonics” and rock musician Beck while he was touring in Italy. In June cooked the medieval dinner of the town with over 500 people. 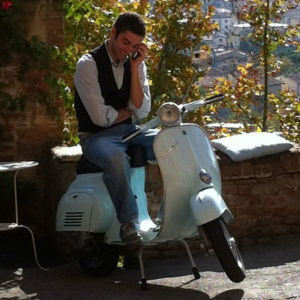 Giuseppina’s son Simone has a genuine passion for all Italian tradition and folklore. By earning a degree in philosophy from the University of Siena, he has learned that food has always played an integral part in Italian culture. He has dreams to one day become a farmer and grow his own ingredients. He immensely enjoys cooking. He has been helping Giuseppina in the kitchen from a very young age and has traveled to the United States to aid her in preparing meals. Simone will be both your personal chef and Tuscan life coach. 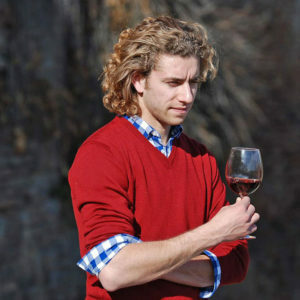 Luca, Giuseppina’s youngest son, has studied in Siena and Florence for over ten years, earning a degree at the University of Florence in enology and viticulture. Through his varied experiences he has developed a deep appreciation and understanding of Tuscan wines. He has participated in all stages of wine production in many prestigious Tuscan and North-East wineries and also assists at the small winery of Giuseppina’s brother, Stefano, during the grape harvest. Giuseppina’s husband Luigi is builder of tuscan villas, a lover of dogs and the great outdoors; it only makes sense that is a hunter of both truffles and all types of Tuscan game. 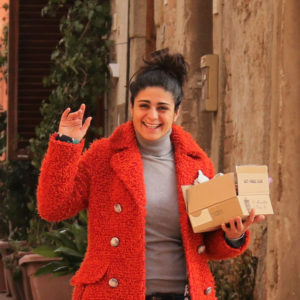 Antonella, Simone’s wife, was born and grew up in the hot and welcoming south of Italy, until she left to study in the University of Siena. 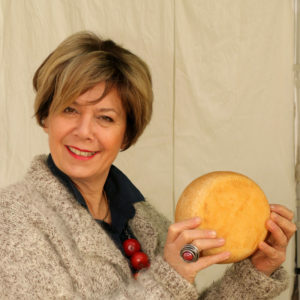 She is in love with Simone, Tuscany and the beuties and tradiction of this region. Thanks to her passion for good food and her warm sociability, when she graduate decide to become part of the family-team.